In what can only be described as a mammoth and lengthy voting process, 5 weeks and ofter half a billion votes have been cast in India to select the next Prime Minister. 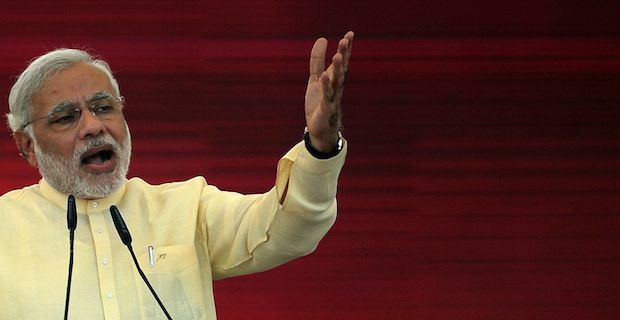 The results sent shockwaves around the world as Narendra Modi of the Bharatiya Janata Party became the new Indian Prime Minister in a landslide victory over the outgoing Indian National Congress party. But who exactly is Narendra Modi? Born in a small Gugarati town in 1950, he came from a poor family where be began selling tea from a tea stall at a young age to help the family get by. At only 10 years of age, Modi got his first taste of politics when he attended his first Rashtriya Swayamsevak Sangh meeting. He watched and learned keenly there before joining the Bharatiya Janata Party where his rise in the state of Gujarat is nothing less than staggering. Modi spent much time protesting against Indira Gandhi's government in the 70's and he steadily built a following which led him to become Gujarat Chief Minister in 2001. During his first term in office he come in for some accusations of encouraging violence towards Muslims. Over 1000 Muslims were killed following the death of 59 Hindu's in an arson attack. Analysts have marked these events as the moment where Modi acquired a large Right wing Hindu following which has certainly played its part in his recent election win. On a personal level, Modi has claimed that he has always kept his family "at arms length" therefore he claims he has no reason to be corrupt. He is also a vegetarian and a notoriously hard worker that can enthuse even the least keen members of staff he will encounter. One thing os for sure, India could be in for a transformative term under Modi so the world will watch on in anticipation.